Python come into origination as early as 1989 when Guido van Rossum observed various shortcomings of the ABC language. Python’s very first version came out in 1994 in which it had its module system borrowed from modula-3 which was capable of interacting with the amoeba operating system. Following which python was released in 2000 further upgrades of whose included the garbage collector and support for unicode. The next python upgrade popped up in 2008 whose main highlight was the backward compatibility. Further upgrades came in the form of a multi paradigm language which gives developers the choice of exercising object orientation, structured programming and functional programming besides possessing a new design to avoid duplicative constructs and modules. Such features and creative freedom offered by this particular framework has made it a developer favourite and has resulted in the positive growth of several successful brands. Any top web application development company would definitely want to adopt it for its projects. Google has been a staunch follower of python since its earliest of stages. While C++ serves as the foundation brick of for the search engine, it was primarily used where memory control was a must along with low latency as a part of the requirement. Python enabled for the ease of maintenance and relatively fast delivery. Earlier codes written for google in perl or bash were also recoded into python. The primary reason of which was pythons ease of deployment and simple maintaining features.Thanks to which Python is now one of google’s official server side languages besides C++, Java and Go and they are easily allowed to be deployed to production. Besides C++, the propriety PHP dialect and Hack, Facebook too is keen on Python making it third on their priority lists. There have been reported to be at least 5000 commits to utilities and services at Facebook ranging from managing infrastructure, binary distribution, hardware imaging and operational automation. The ease that comes with using a python library is that production engineers do not have to pay much effort to writing or maintaining code which lets them focus on getting improvements live. This also ensures that the facebook infrastructure offers some efficient scaling features. Instagram is approximated to be the world’s largest deployment of Django Web Framework which happens to be written entirely in python. The engineering team of Instagram has invested a considerable amount of time and effort into keeping their python resources deployment viable at a massive scale of approximately 800 million monthly active users. By 2017 instagram migrated most of their python code base from python 2.7 to python 3. Such broad usage is mostly attributed to its simplicity and and practicality which according to instagram engineers helps them accomplish things fast. One of the biggest music entertainment industry player is a huge proponent of Python and exploits the language best for the purposes of data analysis and backend services. The backend on the other hand comprises of a large number of services that communicate over the 0MQ or ZeroMQ, an open source library and a framework that is primarily written in python and C++. The reason why spotify prefers this is because a fast development pipeline can be achieved when writing code via python. Gevent has been one of spotify’s recent architecture update which provides a fast event loop along with a high-level synchronous API. Spotify’s services is also based on a large number of analytics and in order to interpret this Spotify makes use of Luigi which is a python module that syncs with Hardoop. Netflix relies on Python in ways similar to that of spotify and relies on the language to power its data analysis on the server side. 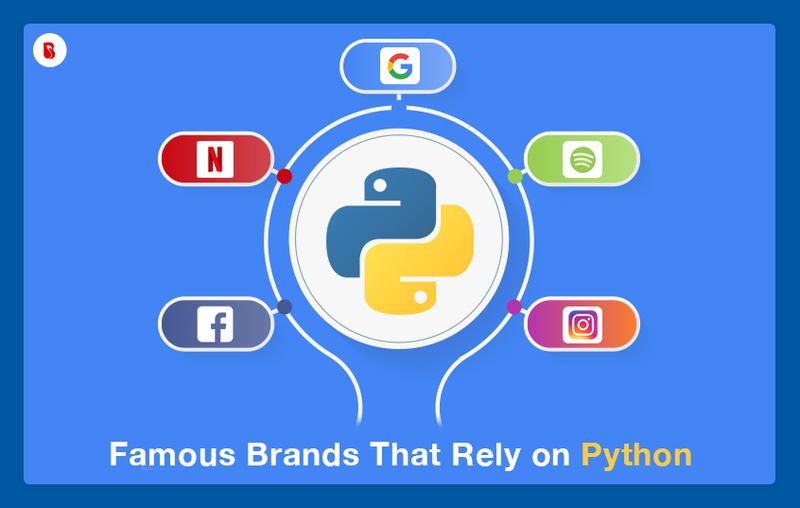 Netflix engineers have also cited the python standard library for its extremely active community which offers a lot of technical support along with a rich variety of third party libraries which help in solving several problems. Central Alert Gateway is one of the primary places of pythons usage. It consists of a RESTful web app process that alerts from anywhere and routes them to groups or people that would need to see them. 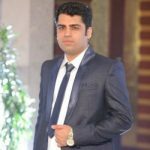 On top of which the application has the ability to suppress duplicate alerts that have already executed in certain cases and at the same time perform automated solutions such as terminating a shaky process. As one of the top python application development company, we at BrainMobi have understood the methods of all the above test cases and have also made several successful attempts in the field of python deployment. Our efficient team of developers can help you come across the best python solutions for your web application projects. If you got the idea for a mobile or web application, kindly write to us at sales@brainmobi.com .